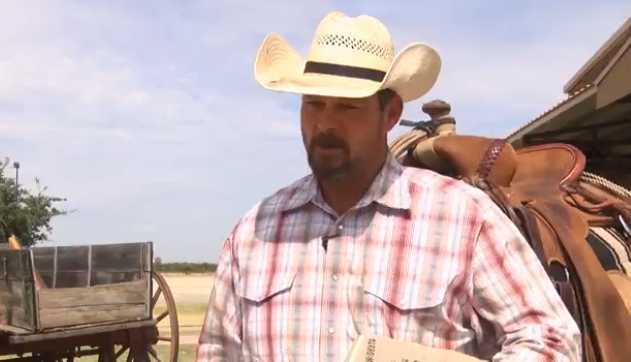 OKLAHOMA CITY — Nearly a dozen Texas Christians rode 100 miles to Oklahoma City this week to deliver a tablet engraved with the Ten Commandments after a Decalogue display was removed from the grounds of the capitol building earlier this month. He said that his church had been following the situation in Oklahoma and decided to replicate the monument that had been removed and deliver a smaller version to Gov. Mary Fallin. They set out on horseback on Tuesday to achieve their mission, arriving to their destination on Friday, where they were greeted by approximately 40 Christians from various area churches. Fallin said that she was moved by the gesture. She accepted the tablet, stating that she would place it in her office. As previously reported, in light of an order from the Oklahoma Supreme Court, the Oklahoma Capitol Preservation Commission voted last month to give authorization to the Office of Management and Enterprise Services to remove a 6-foot Ten Commandments monument from the capitol grounds. The display had been the subject of a lawsuit filed by the American Civil Liberties Union (ACLU), asserting that its erection on the grounds of the state capitol building was unconstitutional. But Fallin opposed the removal of the Decalogue display while the matter was under appeal. “The Ten Commandments monument was built to recognize and honor the historical significance of the Commandments in our state’s and nation’s systems of laws,” she wrote in a statement.